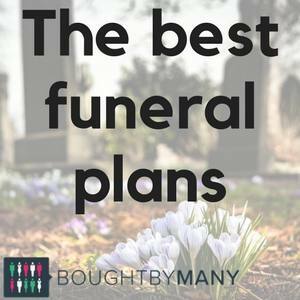 Different kinds of funeral plans will appeal to different people so we’ve listed the most comprehensive plans, these include the most features but cost more, and the five cheapest plans we could find. The providers in our list link to Funeral Plan Market where you can compare quotes for over 100 plans, including all the companies in our list. What does a funeral plan include? A funeral plan allows you to pay for and plan a funeral in advance. They aim to give you control over what happens on the day and can be cost-effective because you’ll be paying today’s prices for services that may be more expensive in the future. The average cost of a funeral more than doubled between 2004 and 2016, and now stands at £3,897, according to research from SunLife. Funeral plans are sometimes referred to by other names such as funeral insurance or pre-paid funerals. They offer monthly payment options to make covering costs manageable but be aware that they include interest so the longer you’re paying the more it is likely to cost. Most plans include the funeral director’s fees and more comprehensive plans cover the costs of things like limousines in a funeral procession and can also include other services such as your will. Several specialist companies, such as Golden Charter, offer plans along with well-known businesses like the Co-op Funeralcare and Age UK. People often consider funeral plans so that their family does not face unexpected costs when they die. The ability to plan things like flowers and the songs or hymns played also appeals to many people. However, be aware that these plans may not cover all costs associated with a funeral or death so make sure you check exactly what your policy includes and what other costs your family may have to pay after you’re gone. Many plans will not include headstones or burial plot, for example, but a few allow you to add them at an extra cost. It’s worth asking funeral plan companies what happens if you die abroad because most only cover the removal of a body on mainland UK. Some companies, such as Avalon, offer European plans for people living abroad. You should also check what happens if you die before you’ve finished paying for your plan. Co-op Funeralcare state they will deliver the services in your plan if you die before all instalments have been paid, so long as this is not within the first 12 months of taking out a plan and you've kept up to date with instalment payments. Funeral plans tend to include the cost of the funeral director, a coffin, a hearse, cremation or burial, the removal of the body, the funeral processions and bereavement counselling. Some plans limit the choice of funeral directors to particular companies of locations. Many companies offer plans that are designed for eco or green funerals, which are increasing in popularity. The average cost of a comprehensive funeral plan is £4,386. We calculated this by finding the average price of the eight comprehensive policies we listed. The cost will depend on the plan you choose and if you add any extras. Cheaper plans start around £3,000 and comprehensive options can cost over £5,000. With the average cost a funeral reaching £3,897 in 2016, funeral plans offer the biggest savings if you buy one a few years before you think you will need to use it and pay the full cost upfront. Monthly payments may be more manageable but they incur interest so you’ll pay more overall. Ask your provider if their plan has a cancellation fee. Most do and they can range from around £100 to over £800. Companies do occasionally offer deals and promotions. 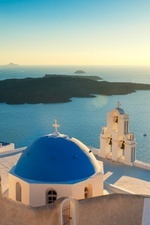 For example, Golden Charter is offering discounted plans until May 31, including £641 off its most comprehensive policy. At the time of writing, The Co-op Funeralcare offer an online discount of £100. Funeral plans are not regulated by the FCA but the authority does set rules relating to how companies manage money paid into funeral plans. If you’re concerned about your money the Money Advice Service recommends paying for some or all of the plan by credit card, which gives you protection under Section 75 of the Consumer Credit Act if things go wrong. Funeral plans are not the only way to pay for funeral costs. Whole of life and over 50s life insurance will pay out fixed sums on death that can be used to cover funeral expenses. Over 50s life insurance is available to people even if they have a medical condition but there are issues around paying in more than you’ll be able to claim that you need to be aware of. Find out more about over 50s life insurance here. The other option is regularly paying into a savings account. This can offer more flexibility, for instance, if you decide you need to use the money you have saved for something else. However, it relies on the saver making sure they put aside enough money and because interest rates are at a historic low it’s not the best time for savers. It’s worth comparing the cost of all options before you decide how to plan for a funeral. "Contacted them and gave brief description of claim. That was it. They then dealt with my vet practice and sent updates on the progress, f..."
Read our guide to over 50s life insurance. How much does travel insurance for older people cost?